We have opened up worldwide competition to fans who can vote on who they think will win GO OC 2010 (GIGABYTE Open Overclocking Championship). Check out the contestant profiles and vote for the one who you think will be the winner. You don't have to be an overclocker to compete , simply click on the 'Vote' button on the official GO OC web page and follow the directions to place your vote. You can place one vote per day, so be sure to vote every day to increase your chances of winning. For more details, the rules and to join the competition please visit the contest website. The competition runs until September 24th, the day before the GO OC worldwide final in Taipei, so hurry up as there are only 10 days left! It is open to anyone from any country to participate. 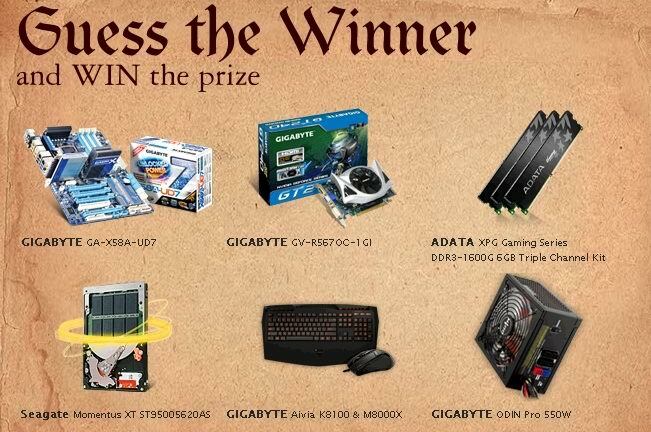 Another great competition from Gigabyte thanks for the heads up I will certainly vote. Do you have to be in the UK to vote ? Can I vote from anywhere in the world ?